Across America, tensions are high between police and the communities they serve. In Westport, cops and teenagers squared off tonight. 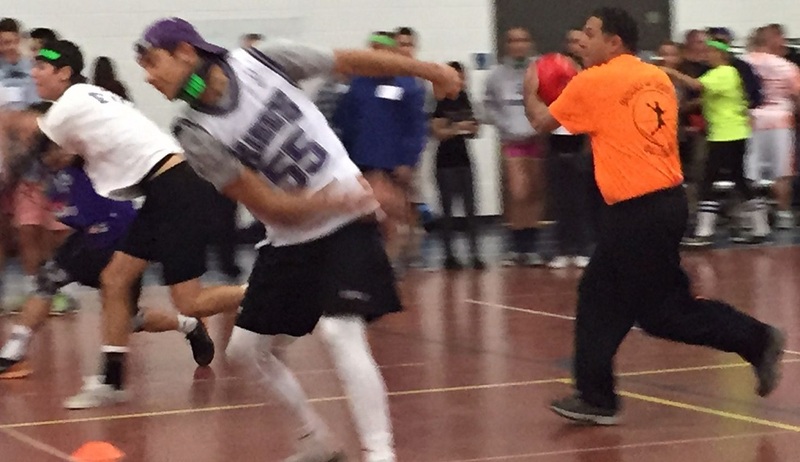 It was all in good fun — and for a good cause. 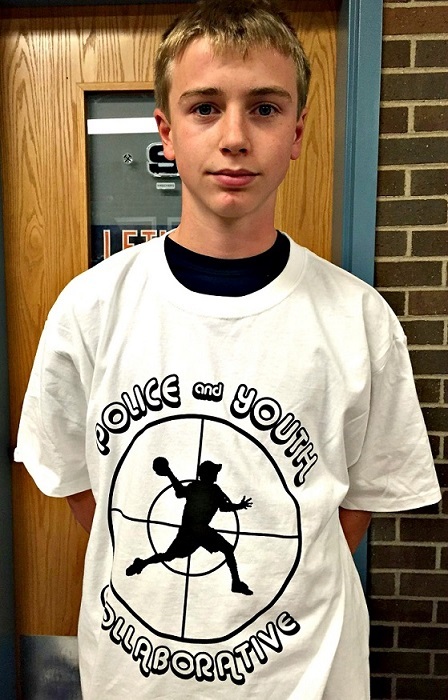 Westport Youth Commission member Colin Corneck sports a “Police and Youth Collaborative” t-shirt. 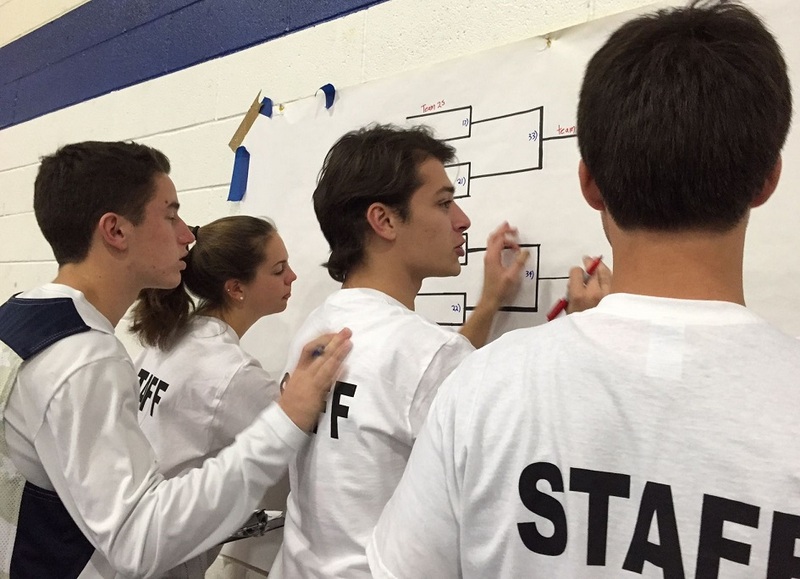 Staples’ Teen Awareness Group, Youth Commission, PAL and Westport Police Department sponsored the 5th annual Dodge-a-Cop tournament, in the high school fieldhouse. 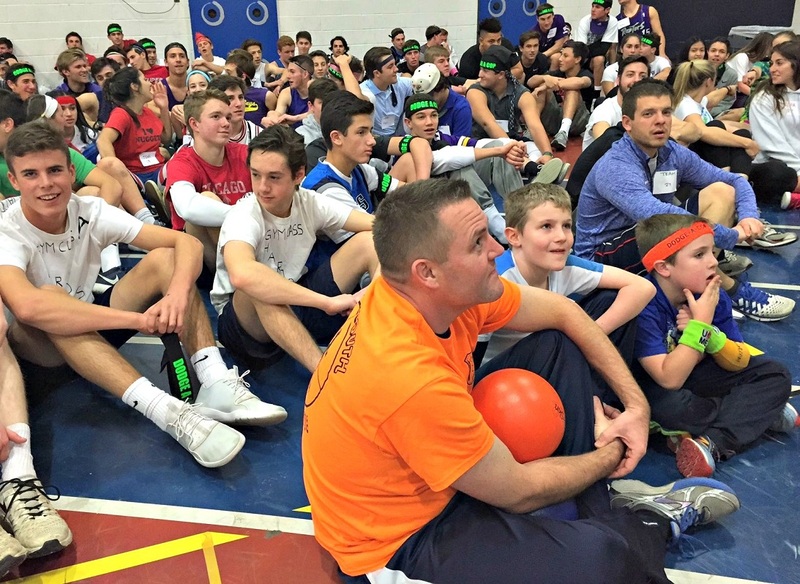 A few hundred kids and a few dozen cops played dodgeball against — and with — each other. There had to be at least 1 officer on each team. Cops and kids listen to instructions, before the massive tournament began. It was a great, bonding event. 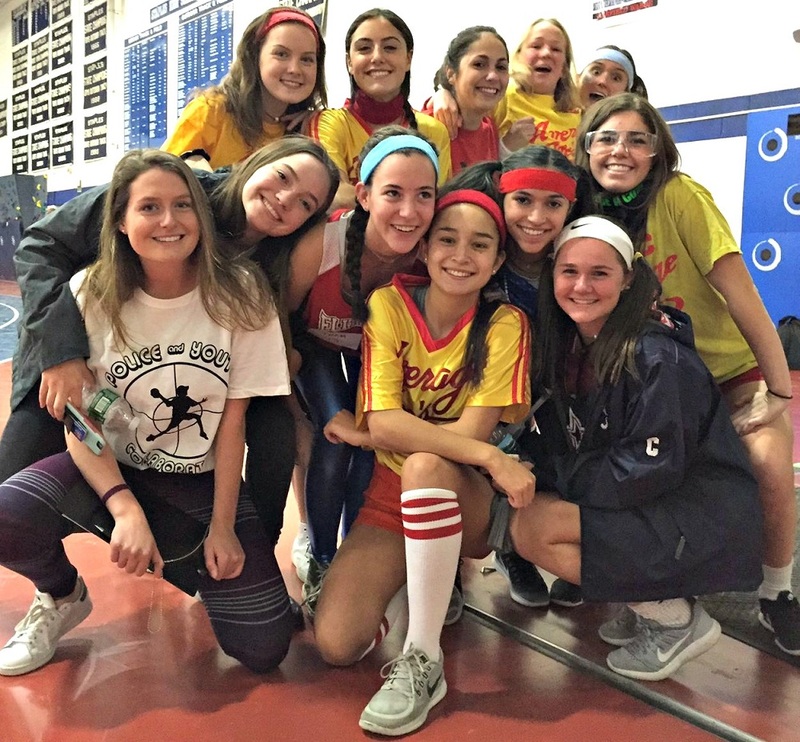 The money raised — from entry fees and food sales — went to the Chris Lemone Fund, in honor of the Staples outreach counselor who died last year. It was a night to show off Westport’s finest. And by that I mean: everyone who was there. 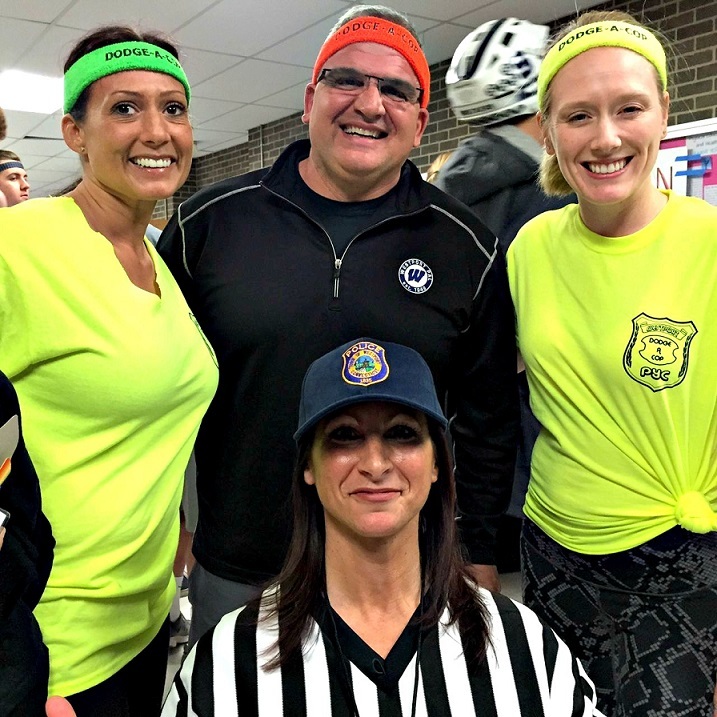 Police chief Foti Koskinas is flanked by dodgeball players Det. Sgt. Sereneti Dobson and Lt. Jillian Cabara. The referee (front) is Det. Sharon Russo. Stephen Rowland, Reid Rizack, Spencer Daniels and Max Zimmerman get ready to rumble. 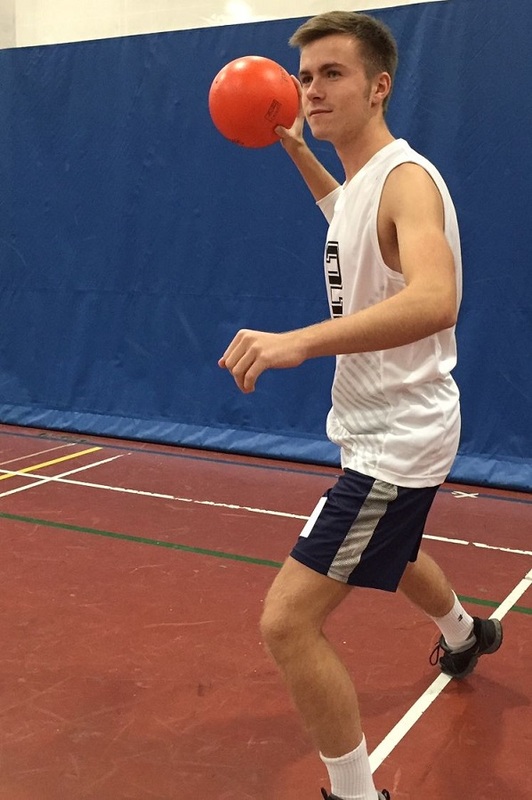 Dodgeball is not just for guys and cops! Police officers and everyone else: Watch out for Kenny Brill! Youth Commission and TAG members keep score. 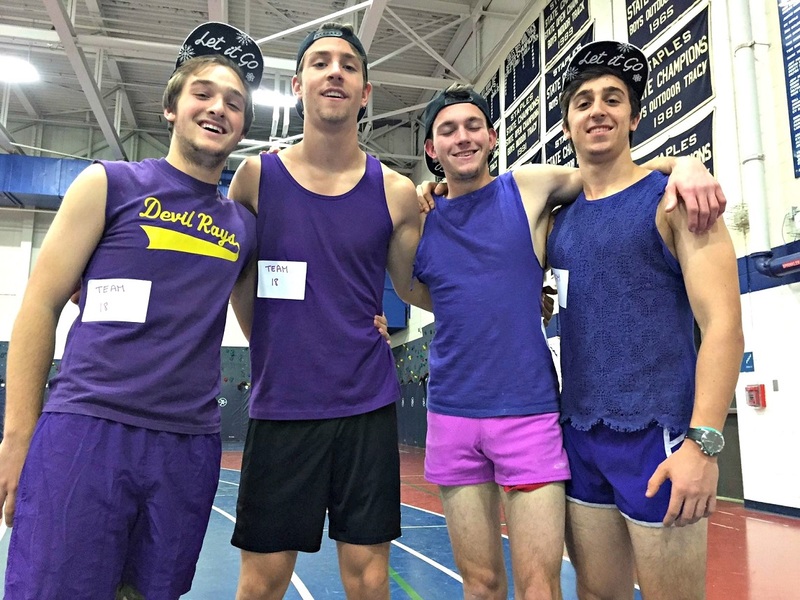 This entry was posted in Organizations, People, Police, Sports, Staples HS, Teenagers and tagged Dodgeball, Staples Teen Awareness Group, Westport Police Department, Westport Youth Commission. Bookmark the permalink. Actually, Jim stopped by to say hi! My son participated, made it to the finals. He was one red faced exhausted kid when he got home. Great event, great cause.